1. 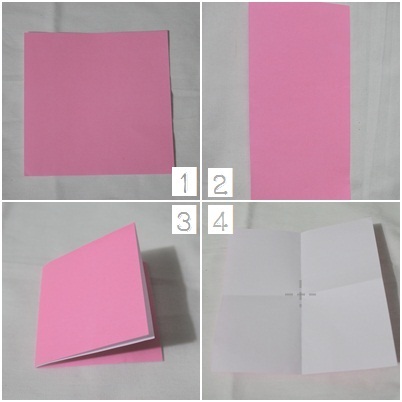 Use a square piece of paper. 2. Fold in half. Crease. 5. Fold bottom portion to the middle crease line. 6. Turn over. 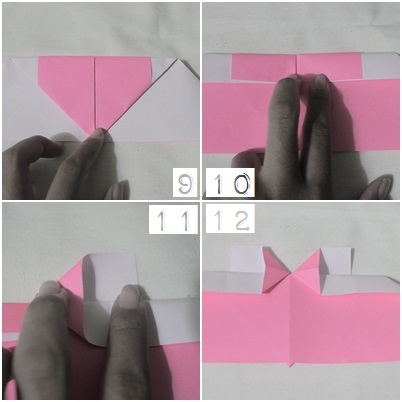 Fold up triangular edges. 8. Bring point C to the top. 10. Use finger to make an opening. 11. Flatten to form triangle. 12. Repeat step 12 on the left side. 13. 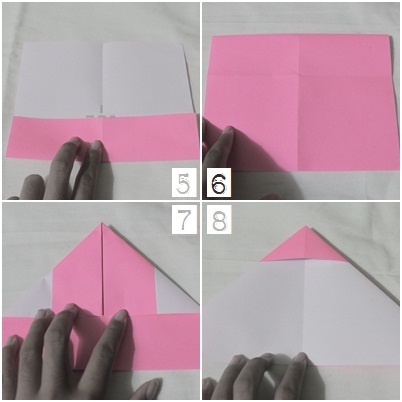 Fold a triangle from the edge for both sides. 14. 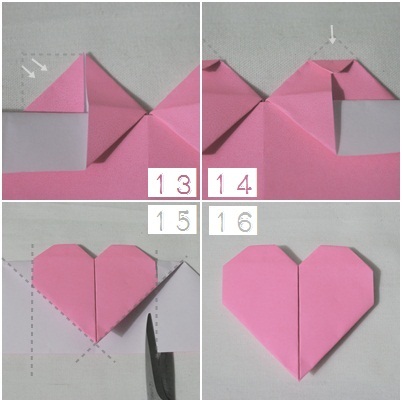 Fold a tiny triangle from each peak. 15. Turn over. Fold the areas behind the dotted lines.